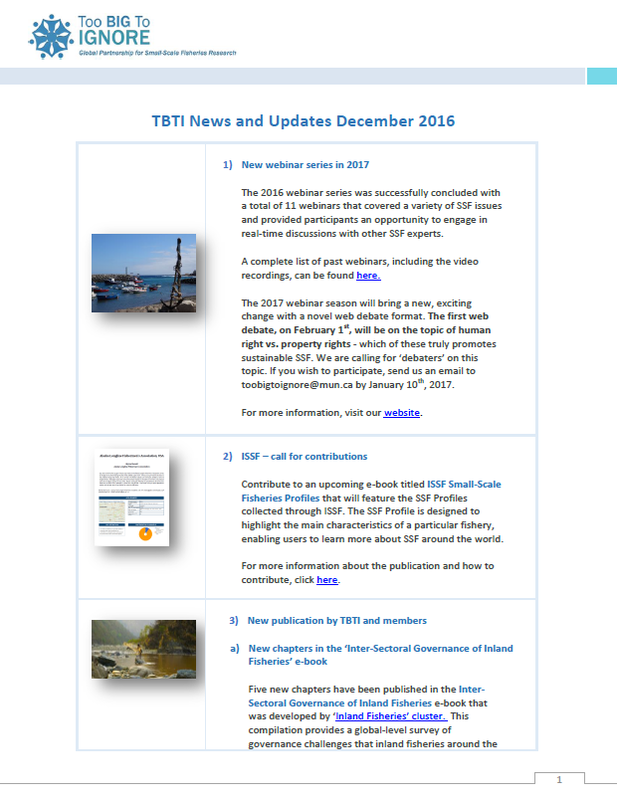 Download TBTI Digest - December 2016 to learn about the recent project’s activities and outputs. TBTI would like to express our sincere gratitude to all our partners, members, friends, and supporting organizations for their continuous support of TBTI and for their efforts towards improving the status of small-scale fisheries and fishing people around the globe. We would also like to take this opportunity to wish everyone a wonderful holiday season and an exciting and successful New Year!